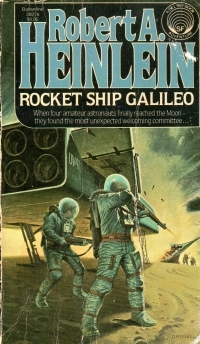 This book is one of Heinlein’s young adult rocket jockey pieces, the ones that made him famous and wealthy enough to do his longer, adult sleep-with-your-mother books later. 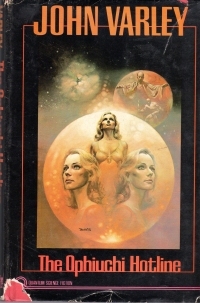 The book is set in the near future of its publication date (1947). A trio of high school seniors build a rocket in their back yard (roughly). It fails on launch testing, but their steady improvement has brought their attention to a government scientist, a sort of maverick, who happens to be the uncle of one of them. He has them join him in building and outfitting a real rocket on the cheap (government funds are tight, you know) and flying to the moon. When they get there, they pick up radio signals from someone who has beaten them to it… Nazis! In the 21st century, the book is an artifact. Nazis have been played for fictional foils in the seventy years beyond their actual shelf life, but in 1947 and shortly thereafter, there must have been a real fear of redoubts of holdouts in places like South America. Going to the moon must have seemed like quite a dream. And high school students with that ability and interest? They must have been more common then. The book depressed me a bit on the meta level. Here was young adult literature in America’s prime. Science lectures wrapped into it, reasoning skills emphasized, and every boy is a tinkerer and a good shot. Some kids who read this book probably went on to make the trip to the moon a reality. Meanwhile, in 2013, young adult fiction is all fantasy, vampires, and intrigues. Not what man can do, unless man is doing it to another man for some slight advantage. One could argue that we’ve really lost something in how we entertain our young and what aspirations it leads them to. But one would probably waste one’s time. Well, I’m only speculating here, but no doubt future numbers will bear out that domestic drone surveillance use is or will soon cause big problems in the home skylight industry. On the other hand, I’m looking forward to my new career as a home skylight tinfoil cover installer. I bought this book some time ago when I first got into gardening, since I’d heard that composting was all the rage, and I wanted to learn more about it. I’ve been doing some “composting in place” — basically you take some organic material, toss it in your garden, and throw some dirt on it — but I got some extra material from trimming back some bushes and the bucket in which we kept our kitchen scraps was getting full. So it was time to read this book. It covers a variety of information not only about the history of composting, but also some different strategies, enclosures, basic scientific principles of it, and overall, how neat composting is. But I won’t be doing it seriously. Because, brothers, composting is work. It’s not a matter of just throwing waste you generate in your yard and your kitchen into a pile and watering it and turning it every once in a while. For starters, to get the best compost, you’ve got to go out and seek things that you don’t have, or at least I don’t have, including different kinds of organic material, manure, and so on. Secondly, he talks about six inches of this, three inches of that, and inch of this, and then repeating it. That’s a compost berm. Come on, I’m not interesting in rebuilding Cahokia Mounds here. I can buy the soil amendments I need, even organic compost, in the quantities I need to make my soil better for what bit of gardening I do. Given how little time I have of late to actually get out there and weed or pick ripe vegetables and fruit, I don’t need to take on another bit of labor for it based in the neatness of it or the protection of Mother Gaia. Still, I learned a lot that I’ll never use, except maybe to make some compost tea–that is, let rain collect in my scraps bucket and water with that–and perhaps consider a little tumbler. 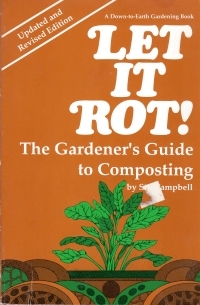 But I’m not going to be a proper composter, and I never would have given up on that thought without this book. So I guess I can say it changed my life. Maynard had inadvertently grabbed a 6-inch giant red-headed centipede, and it bit him with its two sharp fangs, injecting venom that caused his finger to immediately swell. Sweating from pain, he knew he was in trouble. The 6-incher that bit Maynard was a pipsqueak. Miller said giant red-headed centipedes can grow upwards of 10 inches in length. Frankly, the title of the horror movie would be The Centipedes Hunt At Night. Doesn’t that sound like it’s worth a dollar? Instapundit links to an Amazon deal, the “The Ultimate Matrix Collection” on Blu-ray. You know what I call “The Ultimate Matrix Collection”? A DVD of just The Matrix. VodkaPundit’s Friday Night Video is last week’s QA Music: "Everybody Knows" by Leonard Cohen. I first become aware of this song — and Leonard Cohen — in the 1990 Christian Slater vehicle, Pump Up the Volume. As I alluded to in my book report on Leonard Cohen’s Selected Poems 1956-1968, actually discovering who sang the version that appeared in the movie throughout except for the scene in the Jeep. In those days before the Internet, if you heard a song but not the artist, it could take aeons before you tracked it down. It took me years of radio listening to catch onto who sang “Baker Street” (Gerry Rafferty) or “Hungry Heart” (Bruce Springsteen). You could ask around, but my cohort at the time didn’t listen to older music. I suppose I could have called the radio station, but it was never that pressing. At any rate, once I associated Leonard Cohen’s name with the song (Was it in the closing credits? Was it an article about the film? I forget), I went right up to Camelot Music to get a cassette version of I’m Your Man. I’ve since replaced the cassette with a CD and ripped it into iTunes, which explains why I was listening to it just a couple of weeks ago. Also, there’s no telling yet what Mr. Green thinks of Meco. If he thinks of Meco. Doctors are looking into the mystery of a Florida man who awoke speaking only Swedish, with no memory of his past, after he was found unconscious four months ago at a Southern California motel. Michael Boatwright, 61, woke up with amnesia, calling himself Johan Ek, The Desert Sun reported (http://mydesert.co/145PNGw ). Boatwright was found unconscious in a Motel 6 room in Palm Springs in February. After police arrived, he was transported to the Desert Regional Medical Center where he woke up. Hospital officials said Boatwright may have been in town for a tennis tournament in the Coachella Valley. He was found with a duffel bag of exercise clothes, a backpack and tennis rackets. He also carried four forms of identification — a passport, a California identification card, a veteran’s medical card and a Social Security card — all of which identified him as Michael Thomas Boatwright. 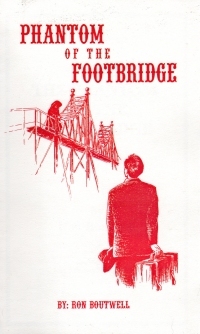 A botched memory implant, a double life, extensive skills with weaponry (albeit medieval weaponry), foreign bank accounts…. It looks as though a Swedish plot to infiltrate the United States has gone awry. Or is that what they want us to think? Asiana announced Monday that it will sue a San Francisco TV station that it said damaged the airline’s reputation by using bogus and racially offensive names for four pilots on a plane that crashed earlier this month in San Francisco. You know, I think it was something else in this incident that might have harmed Asiana’s reputation far more than a juvenile prank. Always drive with your hands on the wheel at the ten o’clock and the two o’clock position. This can obstruct or obscure your spouse’s view of the speedometer and avoid commentary upon how fast you’re driving. Throughout Missouri and probably the nation, people are deciding that they want to raise chickens in their suburban and urban backyards (see stories in St. Louis and Springfield). These people are doing it as part of an environmental nutbar fad and they’re doing it with a bit of Internet research and without any experience in farming or treating livestock qua livestock instead of livestock qua food-providing-pet. Ergo, when their circumstances change, when they get tired of them, or when they reach the end of the hens’ productive years, people are going to need to get rid of these damn birds. Are they going to slaughter them? Of course not! They’d just as soon slay their bichon frise or lifestyle accessory only child. Amazing how the forward-leaning and forward looking don’t see very far forward, ainna? The Haight-Ashbury district was all about peace and love until bacon entered the picture. The trouble began in May, when this city’s health department shut down a popular restaurant called Bacon Bacon after neighbors’ complaints caused a permit delay. The neighbors’ concern: the scent of bacon grease was blowin’ in the wind. I already made the obvious joke in the headline. I have nothing more than the obvious. Buzzfeed as a collection of book covers with the title "23 Books You Didn’t Read In High School But Actually Should". I’m not really sure why they thought it was a high school requirement, especially given the state of current public high schools in the United States, but. Of course, the books selected reflect the preferences and probably the books I’ve read sensibility of the person who compiles the list. So, ultimately, it measures how many books I’ve read that that fellow has read and thinks are important. Arkansas The Natural State is blessed with an abundance of geological wonders. Crater of Diamonds State Park, the only diamond-producing site in the world open to the public, stands out as a unique geological “gem” for you to explore and enjoy. Here you can experience a one-of-a-kind adventure hunting for real diamonds. You’ll search over a 37 1/2-acre plowed field, the eroded surface of an ancient volcanic crater that 100 million years ago brought to the surface the diamonds and some of the semi-precious stones lucky visitors find here today. Neneh Mariann Cherry (born Neneh Mariann Karlsson; 10 March 1964) is a Swedish singer-songwriter, rapper, and occasional DJ and broadcaster. The Swedes are behind much more than we’re aware of. Connect the dots, man. As Jason Haynes, a city of Springfield traffic engineer, led McCaskill on a tour of the center’s control room, which features a number of cameras and computers displaying live video from the traffic cameras along with other information, the senator asked if the video was recorded. The answer was no. McCaskill responded that recording would be helpful for law enforcement, if for no other purpose. She mentioned the Boston Marathon bombing this spring, where images helped identify the Tsarnaev brothers on the street at the time of the bombing. Indeed, whyever would a government entity not capture images and data on its free citizens when it can? That just makes sense to a Federal-level Democrat.